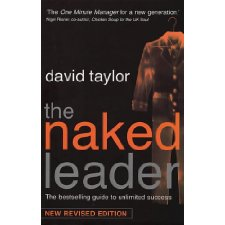 "A very valuable read which presents both practical and achievable paths for companies that want to benefit from the talent of balanced resourcing and development"
"It is worth reading all of David Taylor's books, this man has more common sense then I have had glasses of wine in the sunshine"
As a professor of Management Practice at London Business School and one of the world’s authorities on people in organisations (link to www.lyndagratton.com) is an influential and talented thinker. 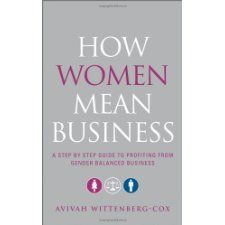 What is surprising about this book is that its focus is a thoughtful and very sensitive analysis of collaboration. It’s not the dry academic tome you might expect, but a truly joyful description of how boundaryless individuals and organisations can make a huge difference; not only to the bottom line but also to the way in which we connect with the world. What Lynda describes is a spectrum which at one end is typified by individuals and organisations who are curious and positive about learning and sharing with others from outside their usual experience. At the other end are the turf protectors who have no trust, where politics and bad feeling are the way we do things round here and instead of “Glow” you get “deep freeze” where all your energy is spent keeping on the move to avoid the knife in your back. 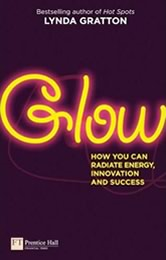 The book identifies the 3 levels that you need to concentrate on to create ‘Glow’. These concepts are explained in simple terms and unfussy prose. There are some wonderful examples of organisational stories that bring the concept to life. My favourite being the story of how the manager working for Unilever's Lynx deodorant division meets a manager in the Walls Ice Cream division. They collaborate on a deodorant for teenagers and the Lynx chocolate scented deodorant Dark Temptation was born. One of the fastest selling of their products. In a challenging world where it can be difficult to find inspiration Lynda urges us not to put our heads down and keep working on our own to find the answers, but rather to walk into the sunshine, stroll through our world with an attitude of welcome to the new and interesting people we will meet outside of our usual sphere. A thoughtful and compelling 'must read', in your local park, on a train or anywhere else where you just might strike up a conversation with an interesting stranger. "A very valuable read which presents both practical and achievable paths for companies that want to benefit from the talent of balanced resourcing and development. Some great stories as well of global variations on the talent discussion. Also it is quite a chunky book so useful for chucking at the unreconstructed primates when they get very annoying and balanced debate fails." Adrian Furham has no respect for those who profess to have the skills to lead organisations and are just rubbish! One to make you laugh out loud as you recognise the characters in your own organisation, and to shut up with a slight blush as you recognise yourself!. Well worth a read. It is worth reading all of David Taylor’s books, this man has more common sense than I have had glasses of wine in the sunshine (quite a lot really!). I read the Naked Millionaire on the tube recently and missed my stop I was so taken by the simplicity and his lovely way of cutting through the usual barriers to get stuff done. 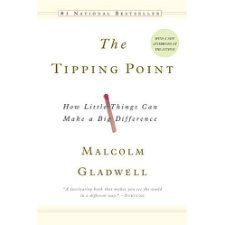 A book to read at least once a year when you are convinced the bureaucracy of your organisation will sap your energy and your team's and you will not be able to do anything of any use, perfect for the days when you feel like a director of paperclips. It always reminds me that sometimes thinking logically is a skill we have lost.